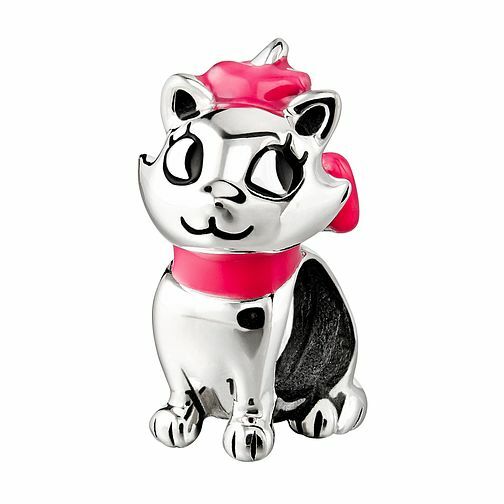 The perfect gift for any Disney fan, this charming Marie bead is crafted in sterling silver with red detailing. Discover all the ways to express yourself with one of a kind jewellery that reflects your life and experience. Inspired by your personal sense of style, Chamilia jewellery is as unique as you are. Chamilia sterling silver Disney Marie bead is rated 5.0 out of 5 by 1. Rated 5 out of 5 by Anonymous from Great item Looks better in person then in the pictures. Was disappointed that when I collected in store, the charm didn’t come in a chamilia box like they should it was just in a plastic bag.